Thank you for five brilliant years of YES. Stay tuned here (subscribe below) for our next incarnation. Following the popular improv mantra "Yes, And..." and honoring the creative brilliance brought to Palm Springs by our attendees each year, we chose the name Yes AND Yes Yes. Read here for the story behind our name. #YxYY = multiplying the YES! 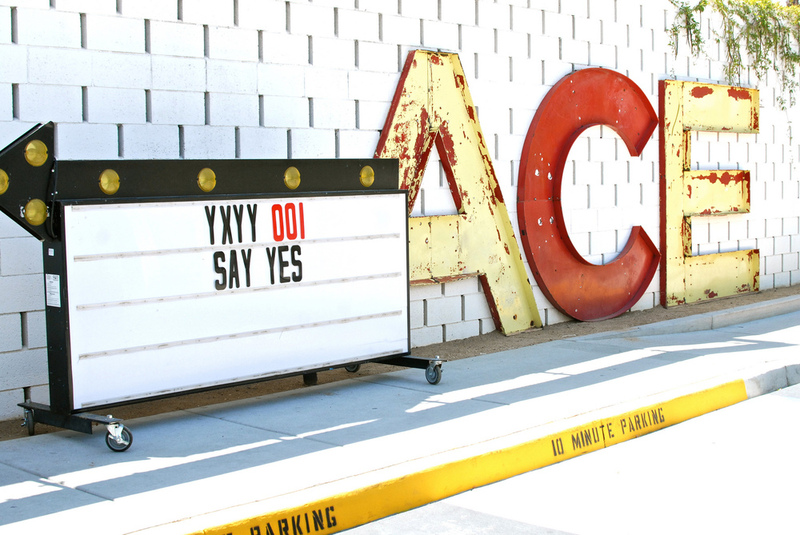 The Ace Hotel in Palm Springs provides an environment where it's easy to say YES. The Radical 5 are taking a short break from our yearly event. Stay tuned here for our next incarnation. Follow along via the #YxYY hashtag on your favorite social network. Calling all geeks, nerds, weirdos, creatives, futurists, thinkers, yay-sayers! You are being invited to say YES! Our concept was born from a conversation on the patio of the Hotel San Jose in Austin one rainy spring night several years ago. The theory was, if you get a group of smart, engaged individuals together in the right place that, even in the absence of an organized conference, great things would happen. 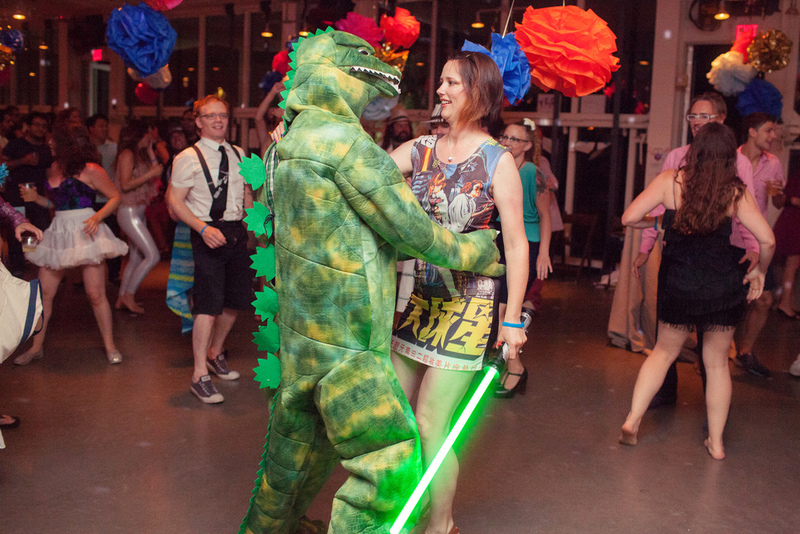 Read more about YxYY's ever-evolving culture in How To Say Yes. YxYY was created in the moment, and surpassed all expectations. Come play with us! Ann Larie is a psychotherapist, activist, vocalist, and writer. Author of the forthcoming book on healthy dating practices, The Valentine Method. Soprano in the SF Symphony Chorus for the past decade. 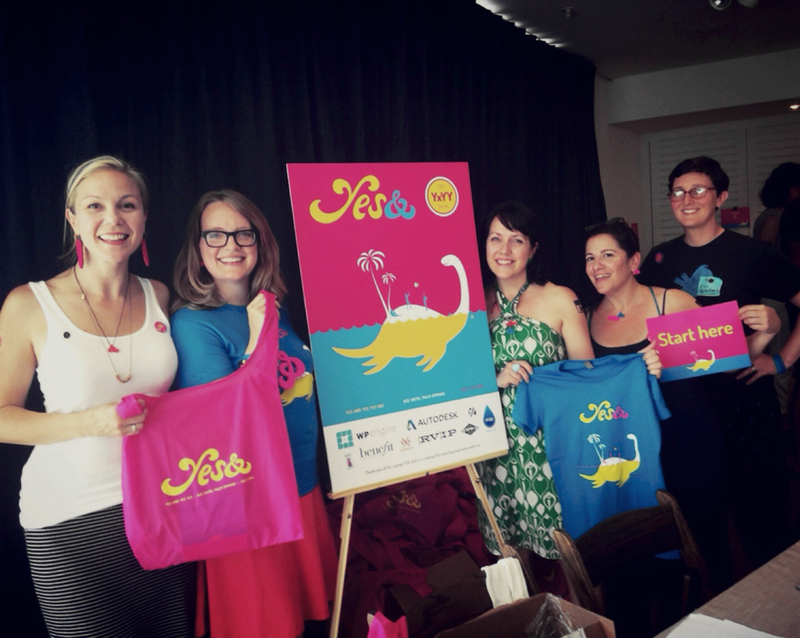 She has spent a lifetime organizing creative events for her friends and community, of which YxYY is the latest! Follow Ann Larie on Twitter. Hillary has been an honorary "govie" for 15 years, doing digital strategy—before that was a thing—for more than 30 states and hundreds of local governments (via NIC). Back in 2004, she led the team that created MyPollingPlace.com. It was the first-ever nationwide polling place lookup site, launched during the 2004 November general election. She's currently an official "govie," serving her country as a Presidential Innovation Fellow in DC. Amy is the VP of Customer Care & Community at Automatic Labs, a “connected car” startup. She is also a co-founder of Get Satisfaction where she served as one of the tech industry's first Chief Community Officers -- back when people asked "What's that?" She helped to create the Get Satisfaction platform and grew the GS customer community as well as the network of communities on the GS platform from the ground up. For the past several years Amy has focused on education, training, content creation, and speaking in the field of online community management, social support strategies and customer relationship building. The foundation of Willo's work is clarity, courage and compassion–empowering visionary entrepreneurs to birth their big ideas into the world. An internet veteran and serial entrepreneur, Willo's founded several creative businesses, served as co-founder of two startups, produced a video series, and launched multiple e-courses and trainings inspiring ambitious, purpose-driven individuals to thrive in all areas of their lives. In addition to coaching, consulting and speaking at events around the world, she is an enthusiastic collaborator who has successfully co-created several epic gatherings, like YxYY, that inspire human connection and celebrate the endless possibilities available to us when we say YES. Deb is an Internet industry veteran who merges expertise in design, marketing and innovation to bring fresh approaches to business. She is widely recognized for her practical understanding of the dynamics of the social web and its impact on culture, society and business. She is a sought after speaker and consultant working with both Fortune 50 CEO's and early stage startups. The future belongs to the Tummlers. Personal tagline: Technology changes; humans don’t. WHO said yes over the years (2013-2017)! Thank you for co-creating this experience with us! Email partners@yxyy.us if your organization would like to partner with YxYY, or if you have a contact for us.